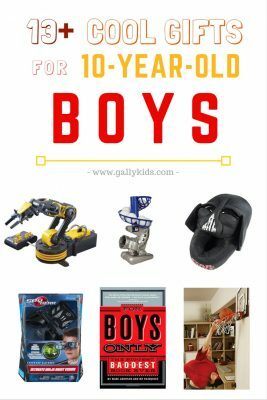 This is a long list of the coolest gifts for tween boys, so don’t forget to pin it on best gifts for 10 year old girls and 10 year old boys. 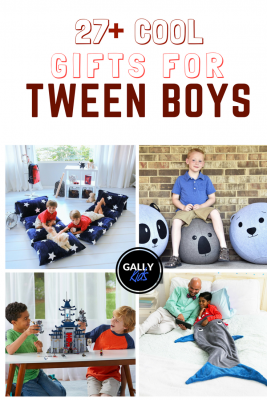 Still Looking For the Perfect Gift Idea For Your Tween? 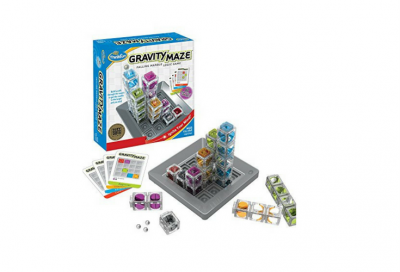 Gravity Maze is a logic puzzle that helps kids develop spatial and reasoning skills in a fun way. It’s a great present for kids who like to build things. In this game, the player builds a tower that carries a marble from the starting position to the target tower. It sounds easy but it’s not. and it’s challenging enough to hold a tween’s attention. Are outdoor games becoming a bit too boring and samey for your family? 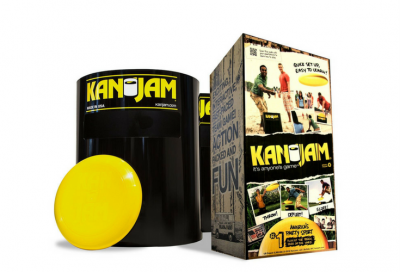 In comes the Kanjam Ultimate disc game – a game that you can easily set up in the backyard, at the park, at the beach or when out somewhere for a picnic. Here’s a video about Kanjam and how to play it. It’s never too early to teach kids about the value of saving money. And how about teaching them this in a fun way with their very own ATM bank at home. This ATM “piggy bank” is very high tech — fit for the children of today. 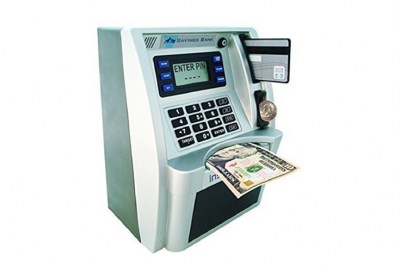 It works just like a real ATM machine: it looks like one and it functions like one. Your child makes his own 4 digit code to operate it. It accepts both bills and coins, too! Then, it tracks their savings. What a fun way to save money. Whoever designed this, must be a parent. 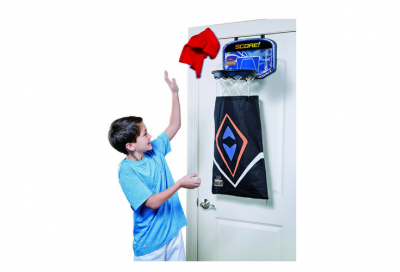 The Hamper Hoops is a basketball hoop and a laundry hamper in one! Who would have thought? The hoop has a laundry bag in it so that your child can just throw laundry into the hoop and straight into the laundry basket. Ingenious. Hopefully, there will be no more laundry lying around the bedroom with this present! Do you have a tween who loves to play video games? Why not give him a funny Christmas shirt? 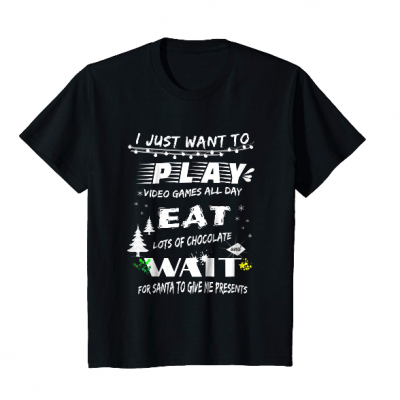 This one says, “I just want to play video games all day, eat lots of chocolate and wait for Santa to give me presents”! Oh how fancy the spy toys are nowadays. And this Ultimate Spy tools will not disappoint the wannabe spy in your house. This spy set includes a micro ear light (for seeing in the dark), invisible ink pen (for writing secret messages), motion alarm (detects any motion), micro listener (for listening from a distance) and an adjustable utility belt for all these tools. 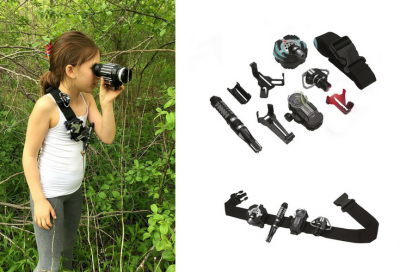 With all these, your child should be able to practice his spying skills well! I think this fits a younger tween the best. Drones seem to be everywhere nowadays. And many tweens want a little practice on it, too. The good thing is that there are beginner drone sets that your child can use without the steep price tag. 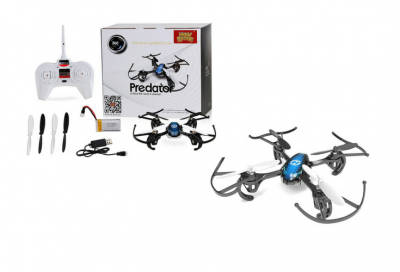 The Predator helicopter drone is simple enough for a child to use and gives him the full experience of flying a drone. It can fly for about 6-8 minutes at a time. Note: This drone is a suitable present for older tweens or teens. Many fans of the Guardians of The Galaxy movie regard Baby Groot as one of the beautiful things in Volume 2. And you can bet that many Groot-related toys and merchandise are going to be on top of the list of things fans would like to get for Christmas. So first on the list is this speaker with a dancing Groot sitting on top of it. 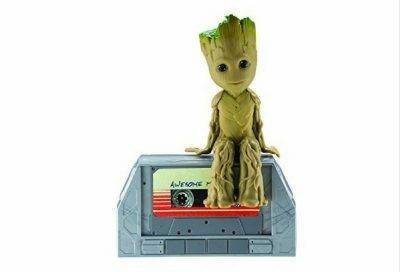 As your son plays his music, Groot dances with it too. It’s pretty cool. 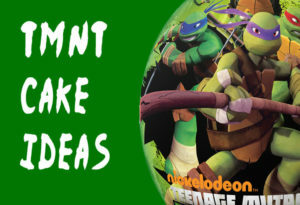 Many tweens and teens are big fans of the Ninjago series. And with its release of the very funny Ninjago movie, the idea of Ninjago is still very fresh in their minds. 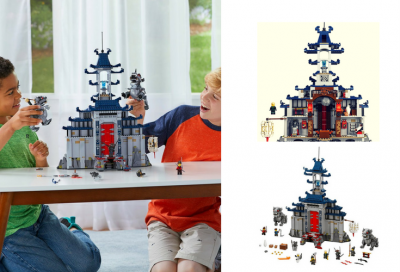 For example, there’s the Spinjitzu training building kit with 109 pieces or the more elaborate Temple building kit with 1403 pieces. The Nintendo Switch came out just before the summer season and sold out very quickly after launch. And you can imagine that many kids want one for Christmas or their birthday, too! It is a great present for kids who are into their games, but as expected, it is more pricey than your usual present. If you do buy this, remember that it doesn’t come with a starter game. So you will need to buy a game to go with it as well. We got the Zelda Breath of the Wild for the first game, and that’s a good game that many tween boys easily get into. They’ve also just recently released Fortnite for Switch — much to my son’s extreme happiness. If you look around, you’ll most likely find a gift set that includes the Nintendo Switch plus a game. At about this age, kids start to be interested in robotics and electronics. They’re also mentally prepared to learn about the many things involved in building robots. There are now a lot of electronics and robotic kits for beginners, that your main problem is choosing which one to get your kid. Here are some of the popular kits right now. 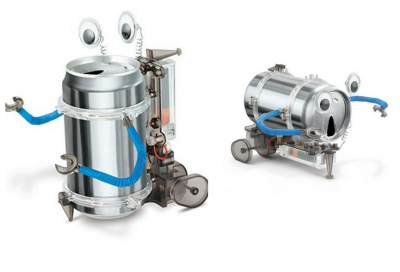 If your child has never built a robot before, the 4M tin can robot is a good introductory kit for building one. It’s very basic robot building that a 9-year-old can easily do. It also teaches them how to make robots by using trash. The kit includes everything you need to hold the tin can in place and a motor with gear. You will need to provide the batteries (1AA) and the tin can. This December is when Star Wars: The Last Jedi will be released. And with it is the new Droid, BB-9E – a droid that fights on the side of the First Order. And with it, comes this new Droid toy. Like BB-8, it has a round ball body that makes it move around. However, it’s black (of course!) and has red eyes. 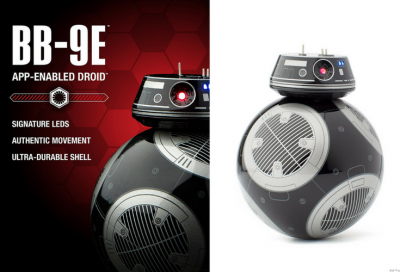 BB-9E Sphero is controlled with a smart device. It’s a great toy that both kids and adults can appreciate. And one that any Star Wars fan would like to get their hands on. Many boys at this age love to tinker with electronic things. 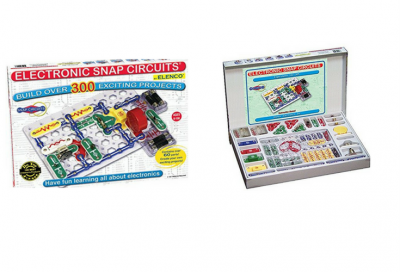 And the electronic snap circuits is one of the best toys where they can fully explore this hunger to learn more about electronics. This is an award-winning toy where kids learn about circuits by following a lot of fun projects. All the parts snap on very easily together and it has an instruction manual that a child can easily follow. littleBits makes some of the best electronic toys to help kids learn in a hands-on fun way. And their new toy, the Star Wars Droid inventor kit is one that many tweens could so easily do without adults help. All the parts to making the Droid snaps together very easily and kids can easily follow them by themselves. They can even customize their own Droid to make it truly theirs. 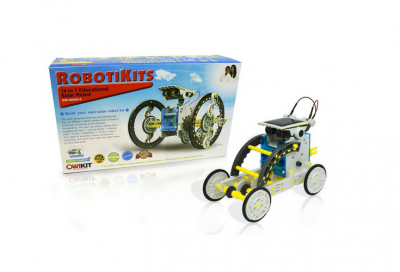 This robot kit is a fun and easy way for kids to learn about robotics. Like many electronic toys aimed at this demographic, many of the pieces easily snap together. One unique thing about this toy is that it also teaches kids about alternative energy. The robots can be transformed into 14 different projects which work on both land and water. We’ve featured Osmo as one of the best science kits for kids. It’s computer gaming come to real life. Kids can learn how to code, play tangram even race with hot wheels by actually having something in their hands to “fiddle” with. Basically, a physical (real?) toy is connected to an ipad or iphone. So for example, if your child wants to learn how to code, she will have some actual physical blocks on her hand to “code” and these are all connected to the Osmo. It’s a very tactile way to learn something while still using an electronic device. The best of both worlds for the children of today. Here’s a video of one of the games to help you understand this kit, as I’m obviously doing a bad job at writing about it. The three games featured on this ad is best for younger tweens. For older tweens, I suggest getting Coding Jam, Coding Awbie or the hot wheels racers game. You may not know about the Wowwee Fingerling toys yet. But prepare for it. Christmas 2017 is all going to be about the Fingerlings robotic toys. These little monkeys can hang on to bags, computers, fingers and more. It’s an animatronic toy that responds to touch, sound and movement. So what can it do? It can sing, blow a kiss, even fart! The Wowwee website says it can do over 50 different responses. They’re affordable at about $15 (although expect this price to go up this December). There are many things a boys of this age may want to learn, but two things that seem to really interests them are learning how to do magic and doing pranks. There are over 100 magic tricks that a child can learn using the Ideal 100-trick magic show suitcase. 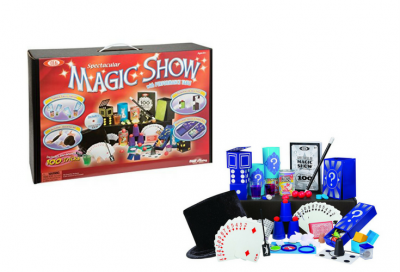 It’s a suitcase full of magic tricks that kids can easily take with them to mesmerize family, classmates and friends. It includes instructions in DVD form on how to do the magic tricks. Also the storage suitcase can also double as a table. This is everything your new magician needs. 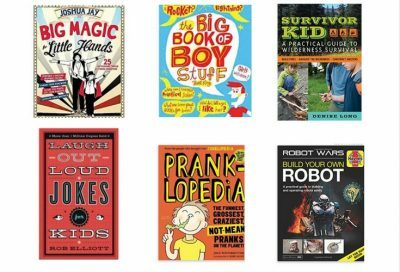 Sure it’s great to encourage kids to read classic books that develop their love for literature and life — but we know that at this age, many tween boys love to learn things they are interested in like electronics, magic, pranks and making life absolutely fun! 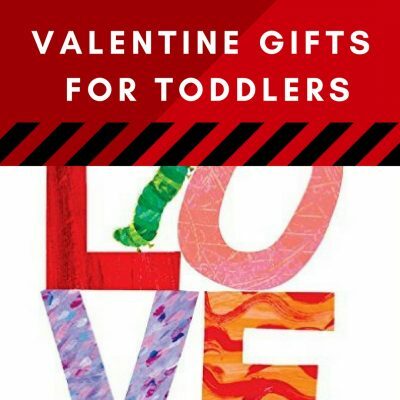 Here are some books that my son loves which should make a great birthday present too! If you have any suggestions to this list, please add it in the comments section below. 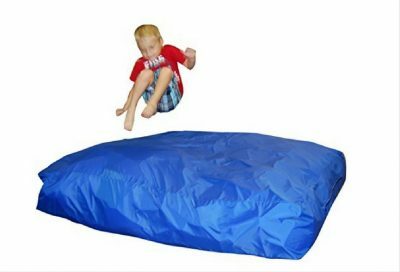 If you have the space in your house, a crash pad mat is great for active boys and girls. Kids love this crash pad mat. Finally something that they can just jump into and get rid of all that energy. If you’re not familiar with it, it’s a bag full of different sizes of foam that kids can just jump into. It’s amazing. And any boy who can’t settle down will love this, too. 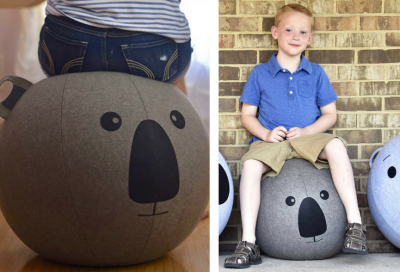 Bounce balls are no longer just for gym classes. They’re great for young kids at home, too. 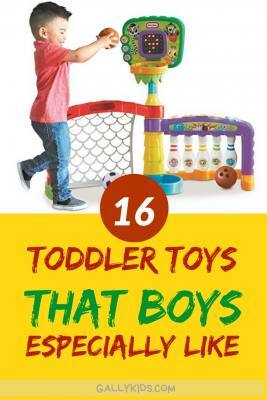 It’s especially useful for very active kids. It keeps them moving and it’s also a way to exercise as they’re sitting while doing their homework or even when playing video games. My 10 year old son likes it a lot. 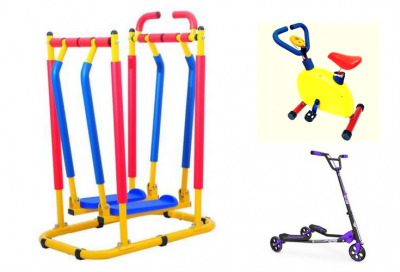 I like many of these exercise equipment for kids that are just coming out in the market. I prefer for my child to go outside and play and run like we used to do when we were kids. But I know that sometimes, this is not always feasible. So what do you do? You get them an exercise machine. The balance ball above is an affordable way to get them to move their body. But if you want to take it a bit further, check out this Fitness bike for kids. And if you prefer, you can them an air walker or a treadmill instead. If you have the space and the trees for it, a slackline is another toy that helps kids exercise and practice their balance. It’s very fun! This even benefits adults, too. 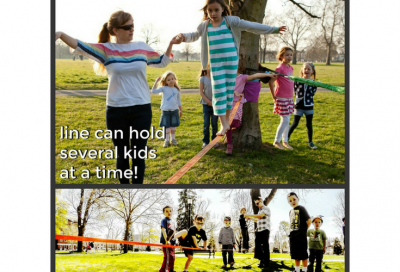 With a slackline, the whole family can go outside and do a simple activity in the outdoors with the whole family. 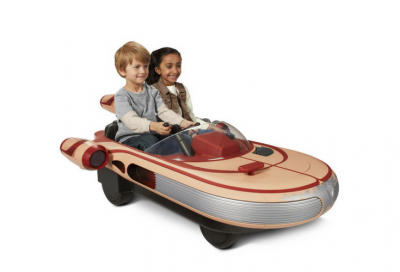 If you plan to splurge on your gift for a tween boy this Christmas, have a look at Luke Skywalker’s Landspeeder. Made by Radio Flyer, it’s a very cool power wheel that looks very similar to the one in the movie. It has an interactive dashboard for kids to feel like it’s just like the one in the movie, too. This is made for kids 4+ and has a maximum weight capacity of 130 lbs. 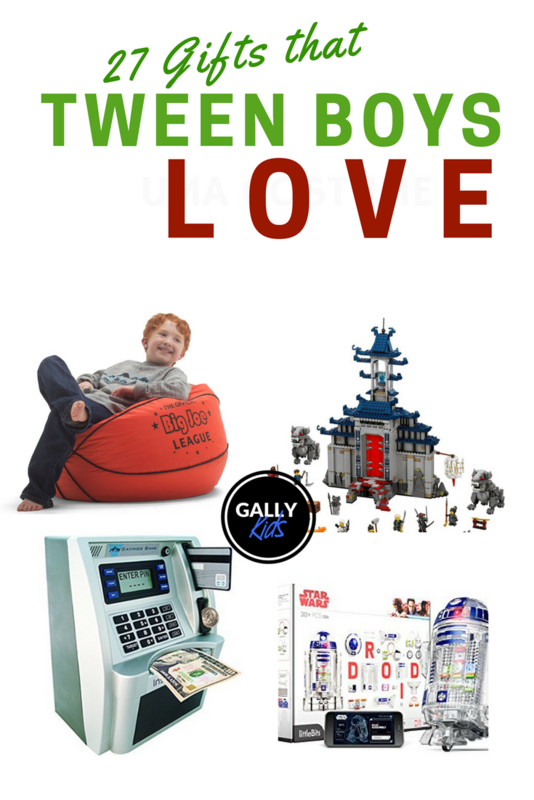 The Star wars power wheels is pretty cool, but admittedly your tween will most likely not be making full use of it. However, he will like this self propelling drifting scooter and will be using it a lot more when out and about with friends. Made for kids 9+ (and adults can use it too! ), this air push scooter can make them go at higher and faster speeds (oh dear me! ), than the scooters they used to have when they were younger. This is a proper fun ride for adventurous kids. At about this age, kids want to have a space of their own. A place where they can be by themselves, get lost in their thoughts and sometimes, hang out with friends. 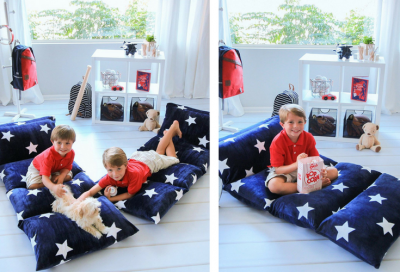 Why not add another relaxing area in his room by gifting him a bean bag to lounge on? Kids love these mat loungers. They’re big enough to relax and lie down on. It’s also useful when friends visit for a play or a sleepover. 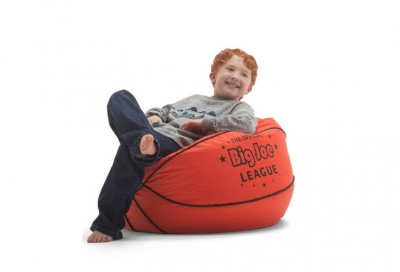 Much like a bean bag, these are also great for when they play video games. My tween son is at that stage where he doesn’t want anything “babyish”. No one is allowed to mention that he used to like the Octonauts (oh I miss the Octonauts), or Toy Story or Peppa Pig! But sharks! No one outgrows the fascination with sharks, right? So here it is. 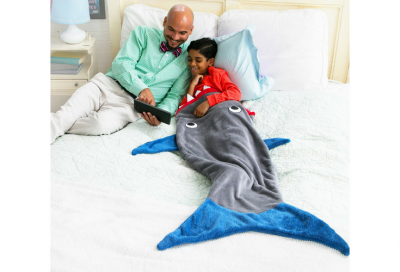 The Shark blanket– the perfect blanket for boys. I think this is very nice. It’s like a sleeping bag, only much cooler. Here are more gift guides you might want to have a look at.